Saudi Arabia says it has shot down a ballistic missile fired by Yemeni rebels at the royal palace in Riyadh. Mohammed Abdul-Salam, spokesman for the rebel Houthi movement in Yemen, said that a meeting of Saudi leaders at the Yamama Palace had been targeted - two hours before Saudi Arabia was due to announce the country's annual budget in a news conference expected to be attended by senior ministers. 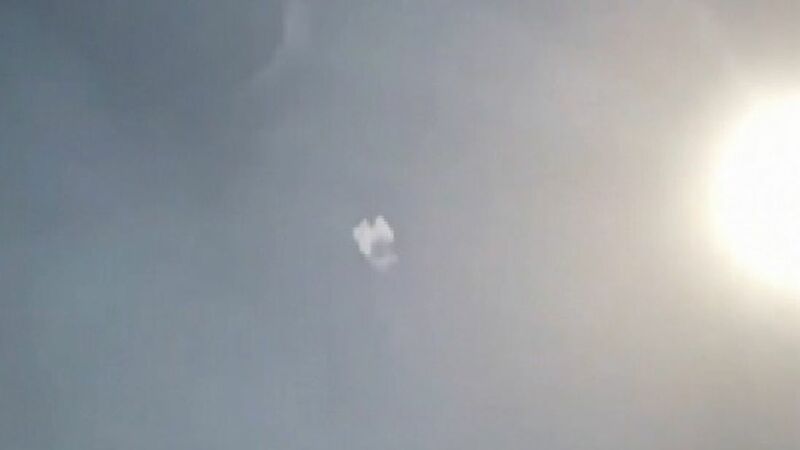 Saudi state television said it was intercepted just south of the city and no casualties or damage have been reported, but witnesses in the capital have posted images on social media of smoke billowing into the air. The attempted attack comes on the same day that the United Nations' human rights office confirmed the deaths of at least 136 civilians and other non-combatants in Yemen as a result of airstrikes carried out by the Saudi-led military coalition. All of the killings between 6 December and 16 December in four northern provinces, with Yemen's rebel-run TV station and a hospital among the targets. Hundreds of world figures urged have the leaders of the United States, France and Britain to stop "stoking the flames of war" in Yemen, marking the 1,000th day of the war.